I'm so inspired by your quilt to actually give machine quilting a go. And you spray basted instead of pinning? I just pin basted a small playmat. HATE.PIN.BASTING. I REALLY like the colors your chose. I love it!!! It is gorgeous. I love that you tried something new for the quilting. It looks amazing. I will have to try that! I love your loose, uneven circles and spirals, such a fine example of freedom restrained and a wonderful contrast to the rectangles. What a great quilt! Your quilting looks wonderful too! Just love how they look after that first washing. It's gorgeous! Thanks for the info on the circles - I might just give that a try some day. Another great finish! It's amazing what the wash and dry will do for the finished product, isn't it? Thanks for the tips too, they're most welcome. Andrea, your solids experiments are a resounding success! Your quilt is really gorgeous. The colors are beautiful and it was funny how you said they reminded you of Martha Stewart. Thanks for the tips, too! Looks AWESOME!! I am glad you posted the tips about the spirals. Those are looming in my future so I am glad you did it first. I can pick your brain when I get there now. I think this is my favorite of your solids quilts. I just love it. Love this quilt! The quilting looks fantastic, and I love the border you added. And thanks for the tips!! love your solids inspiration. i think your quilting looks fantastic, the colors are so soothing to me! It looks great Andrea. I just adore that quilting. Another hint about your doodles/filling in. If I have to stop and start on free motion I keep some small, scrap sandwiches nearby so I can practice my rhythm before I start on the quilt. Even doign the same thing on paper helps. This is beautiful. I've never worked with solids ... but your pictures would convert anyone! Thanks for your reply and the details about how you made your circles, for some reason I always forget that I can mark a quilt top and still do free motion (yes, I'm silly). I love this quilt Andrea! I have been on a long quilting break, but I am ready to get back into it. I'm not one to use borders much, but I really like the way yours turned out. It fits this quilt perfectly. absolutely gorgeous! Your quilting is beautiful! Oooo I love this Andrea, the quilting is great! It's great where you went with this...uber natural and free. This quilt is spectacular! I LOVE the texture the quilting created, and I'm going to have to borrow your idea of inward-spiraling circles sometime soon. I love the way quilts that have been densely machine quilted feel after they come out of the wash. The little bumps of fabric are so soft and lovely! Beautiful quilt and a great job of quilting it - I don't care who's looking at it! What a lovely quilt! I know what you mean about Martha...what is her secret? Oh my goodness, this is beyond amazing. I want to cuddle it right now. I love it. Really. Thank you for sharing your lovely blog, keep up the great work! Hey, this quilt has inspired me to finally make a quilt. I would be so grateful if you could let me know the measurements as mentioned in your post. I don't have the confidence yet to forge out on my own with a pattern. 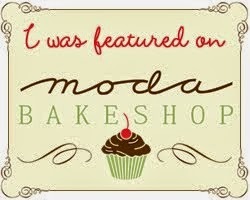 I just found your site after looking at one of your patterns on the Moda Bake Shop. I'm enjoying your blog and back tracking on it. Came across the "Bedford" quilt & I don't know if your offer still stands regarding the sharing of measurements for it, posted in March. If so I'd love it if you'd share them. I don't have a blog, but I'll leave my email. Thanks in advance; I'm going to keep "back-track-reading". I just saw this quilt and LOVE it. If you're willing to share, I'd love to know the measurements you used -- just the width of the strips and the center rectangle would be enough to get started. thank you!! I would love to have your quilt pattern measurements. Thank you so much!